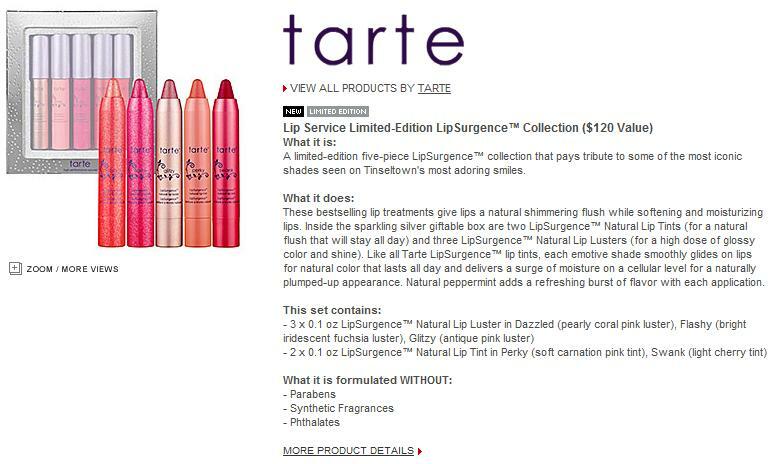 I fell in love with these Lip Surgence (tinted lipbalms?) 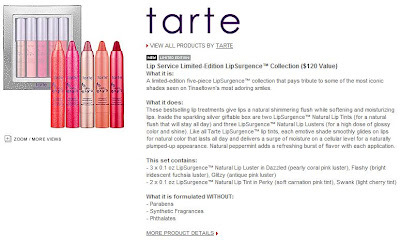 by Tarte and am particulary eying this limited edition set after I saw Scrangie's post about it. If anyone in the US would be willing to custom purchade me this set, plaese contact me (gilmoremuse[at]gmail.com) .